Between 10:30 – 13:30 on Wednesday 18th October offenders have gained entry to a residential property on Andover Road, Monxton. Entry was forced whilst the occupant was out of the property and various items stolen. Reggie is a grey tabby cat belonging to Maggie Nicholls at Well Cottage. 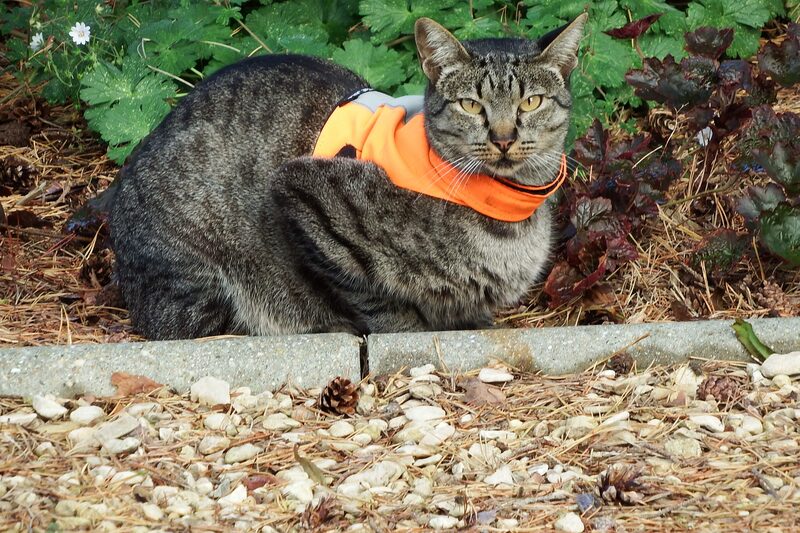 He prowls Monxton sporting a distinctive orange high-vis vest. He covers quite a bit of territory so most of you will probably have seen him. He did not come home last night, which is not like him, and Maggie thinks he may have been shut in someone’s shed or outhouse. At approx 16.40 on 26/07/17 two vehicles were travelling on the Hundred Acre Roundabout in Andover. One vehicle, a deep red Ford C-Max, appeared to be in the wrong lane and aggressively tried to correct themselves and nearly collided with a red Mercedes. Concerningly to the driver of the Mercedes, it appeared as though the other driver has then attempted to follow them to their home address. Please remember to take care when driving on the roads, stay alert and plan your journey. Overnight 25th – 26th June an office building located on Grateley Drove, Amport was entered by offenders. Along with electrical items and tools, keys were also stolen that allowed offenders to steal a Range Rover. A 4×4 was located burnt out nearby in Quarley at approximately midnight. At this time of year we see a rise in the number of theft from motor vehicle incidents, particularly from beauty spot car parks. *Install system and application updates on all devices as soon as they become available. *Install anti-virus software on all devices and keep it updated. *Create regular backups of your important files to a device (such as an external hard drive or memory stick) that isn’t left connected to your computer as any malware infection could spread to that too. *Only install apps from official app stores, such as Google’s Play Store, or Apple’s App Store as they offer better levels of protection than some 3rd party stores. Jailbreaking, rooting, or disabling any of the default security features of your device will make it more susceptible to malware infections. *An email address can be spoofed. 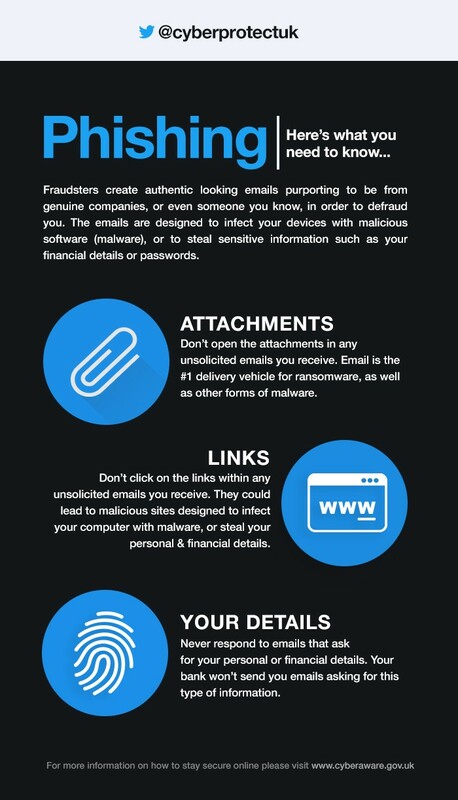 Don’t open attachments or click on the links within any unsolicited emails you receive, and never respond to emails that ask for your personal or financial details. *The sender’s name and number in a text message can be spoofed, so even if the message appears to be from an organisation you know of, you should still exercise caution, particularly if the texts are asking you to click on a link or call a number. *Don’t disclose your personal or financial details during a cold call, and remember that the police and banks will never ring you and ask you to verify your PIN, withdraw your cash, or transfer your money to another “safe” account.